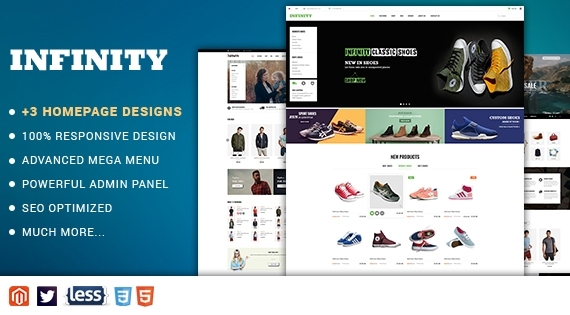 SM Infinity is a professional and powerful eCommerce Magento theme. It fully supports Magento 2 with all advanced features: Mega Menu, Ajax Add to Cart, Product Quick View, Boxed layout and many additional layouts for category/product page. Especially, we designed 12+ extra pages to help you building an entirely online store website. 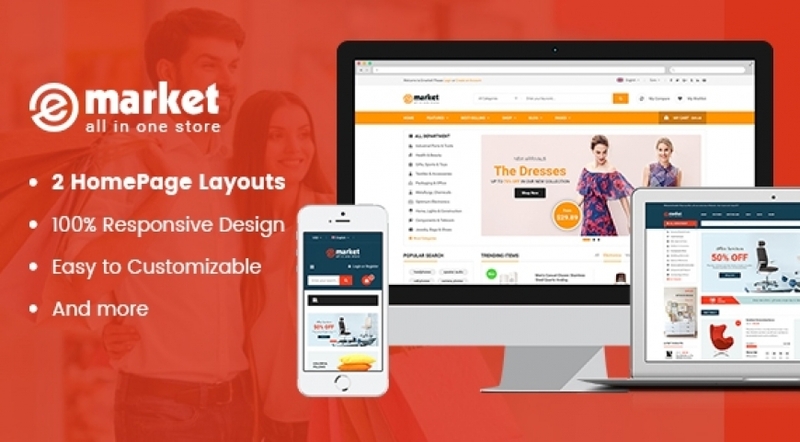 This ultimate Magento 2 Theme available with 3 excellent homepage designs, 3 header/footer styles and unlimited color variations that you can utilize for fashion store, shoe store, watch store, accessories or retail websites. And there are many other excellent features of this professional Magento 2 theme that you can explore HERE! This package included modules, theme, sample data. By using this package, you will have a complete site like on demo. SM Basic Product, SM Mega Menu, SM Quickview, SM Image Slider, SM Listing Tabs, SM Search Box, SM Categories, SM Shop By, SM Cart Pro.